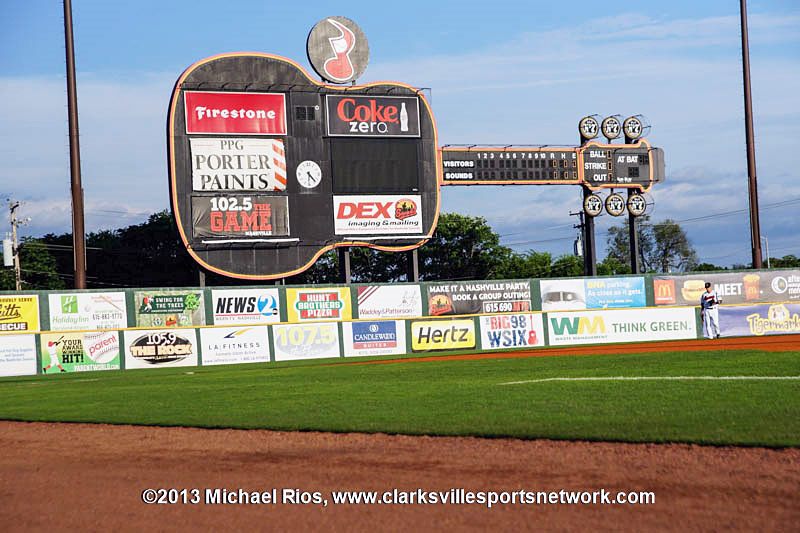 Nashville, TN – After 37 years serving as the Nashville Sounds’ ballpark, Greer Stadium will host its final Sounds homestand (#LastCheerAtGreer) beginning on Wednesday, August 20th. The Sounds continue their playoff push with a pair of four-game series beginning with the Fresno Grizzlies (Triple-A Giants) from August 20th to August 23rd. The second half of the homestand will feature games against the Sacramento River Cats (Triple-A Athletics) from August 24th to August 27th. Nashville, TN – The Nashville Sounds continue their #LastCheerAtGreer with the team’s seventh homestand of the year at Greer Stadium, which begins this Monday, July 21st. The eight-game homestand features a pair of four-game series, as the Sounds will first play the Colorado Springs Sky Sox (Colorado Rockies affiliate) from July 21st-24th and then the Oklahoma City RedHawks (Houston Astros affiliate) on July 25th-28th. Nashville, TN – The Nashville Sounds continue their #LastCheerAtGreer with their seventh homestand at Greer Stadium, which begins this Friday, July 11th. The brief three-game homestand welcomes the division-rival Round Rock Express (Texas Rangers affiliate) to Nashville for the first time this season. Highlighting the homestand’s worth of promotions will be another Trevecca Nazarene University FAITH NIGHT, a Bible Bobblehead Series giveaway, Friday Fireworks, a Christmas in July theme night with a Guitar Scoreboard Snow Globe Giveaway and Nashville’s NEWS 2 Saturday Fireworks. Nashville, TN – The Nashville Sounds continue their #LastCheerAtGreer with the team’s fifth homestand of the year at Greer Stadium, which begins this Monday, June 9th. 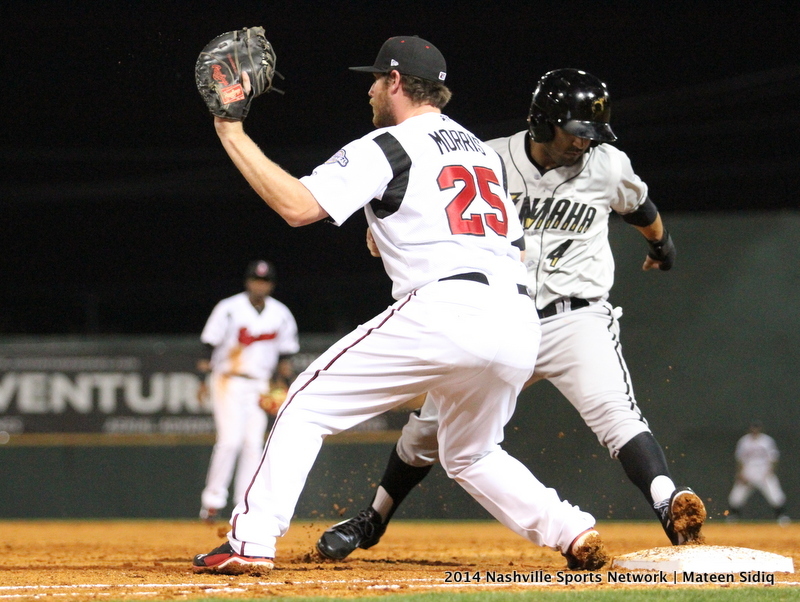 The eight-game homestand features two teams that haven’t appeared in Nashville since 2012. The Sounds welcome the Reno Aces (Arizona Diamondbacks affiliate) for four games spanning June 9th-12th and the Tacoma Rainiers (Seattle Mariners affiliate) from June 13th-June 16th. Nashville, TN – The Nashville Sounds continue their #LastCheerAtGreer with the team’s fourth homestand of the year at Greer Stadium, which begins this Tuesday, May 27th. The eight-game homestand welcomes the Colorado Springs Sky Sox (Colorado Rockies affiliate) to Nashville for four games spanning May 27th-30th and the Iowa Cubs (Chicago Cubs affiliate) from May 31st-June 3rd. Nashville, TN – The Nashville Sounds continue their #LastCheerAtGreer with the team’s third homestand of the year at Greer Stadium, which begins this Thursday, May 15th. The eight-game homestand welcomes the Oklahoma City RedHawks (Houston Astros affiliate) to Nashville for four games spanning May 15th-18thand the Omaha Storm Chasers (Kansas City Royals affiliate) from May 19th-22nd. Highlighting the homestand’s worth of promotions will be a Friday Fireworks show, NEWS 2 Postgame Fireworks on Saturday, a pair of Throwback Thursdays presented by The Tennessean, and a Greer Stadium T-shirt Giveaway presented by Family Leisure. Nashville, TN – The Nashville Sounds continue their #LastCheerAtGreer with the team’s second homestand of the year at Greer Stadium, which begins Monday, April 28th. 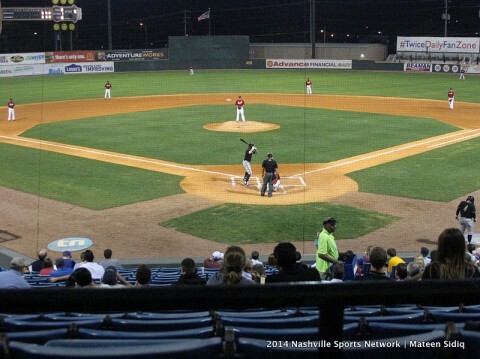 The eight-game homestand welcomes the New Orleans Zephyrs (Miami Marlins affiliate) to Nashville for four games spanning April 28th-May 1st and the Iowa Cubs (Chicago Cubs affiliate) from May 2nd-5th. 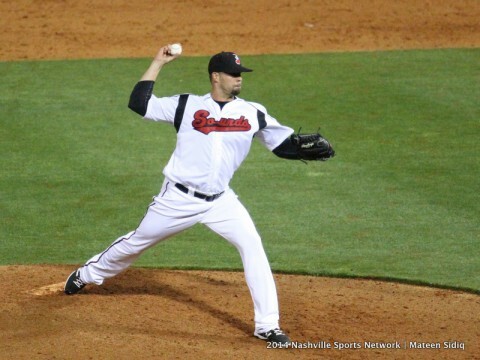 Nashville, TN – The Nashville Sounds host their home opener this Friday, April 11th, kicking off what will be the club’s final season at Greer Stadium. The team is asking fans to help say farewell to the venue it has called home for 37 years by coming to Sounds games this summer and using the hashtag #LastCheerAtGreer in social media. The Sounds’ new ballpark in North Nashville is scheduled to open in April 2015. 72 Sounds Games, 22 Fireworks Shows, 16 Giveaway Nights and More! Nashville, TN – The Nashville Sounds are excited to announce the 2014 promotional calendar, which includes 22 fireworks extravaganzas and several giveaways commemorating the team’s final year at Greer Stadium. The calendar also includes 11 Throwback Thursdays presented by The Tennessean, six Trevecca Nazarene University FAITH NIGHTS® concerts, the return of the Famous San Diego Chicken, and much more!